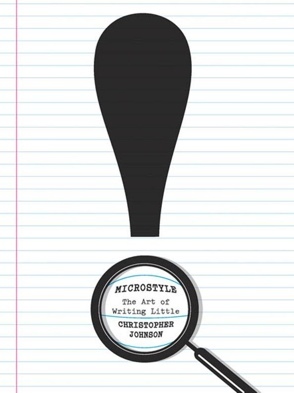 Christopher Johnson’s “Microstyle” delivers a blueprint for how we can win our share of the scare resource. It is a travel guide for writing within the information economy. Having read Microstyle around a year ago, I’ve had the chance to play with it’s ideas, and found them to work. The key-verb in that last sentence was “to play”. This is exactly what Christopher Johnson wants us to do. Language breathes. It lives and changes. 2,000 years ago the Roman orator Quintilian found fault with Roman grammarians attempting to set Latin style in concrete. Quintilian’s comment at the time was that if they didn’t let linguistic structures evolve, then Latin as a living language was doomed. Christopher Johnson would urge us to heed that lesson from history. For someone who appears intent on demolishing “big style”, Johnson’s weapons of choice are a surprise. 90% originate in antiquity. He re-examines the rhetorical techniques of the Greeks and Romans, and integrates them into the modern world. The guide shows how we can redeploy metaphor, tropes, and repetition techniques. Any Roman orator would have recognised the ideas, even if they wouldn’t have recognised the application to Twitter messages! Along the way, Johnson exposes us as to why certain movie titles work, while others fail. He draws examples from wits such as Dorothy Parker and Oscar Wilde. He dives into poetry for an exploration of rhythm patterns that can make a micromessage leap off the screen. He demonstrates how to create blog and subject headings that intrigue and pull readers in.